Whether your home is a new build on a bare section or an established house, landscaping is something that can’t be overlooked. After surveying your house and land you may have many ideas and goals for you new home, but where do you start? Evergreen Landscapes have been helping Canterbury homeowners come up with smart landscape plans, then execute them in a way that fits both your vision and budget. Below are some guidelines to help you create a perfect landscape that suits you and your new home’s needs. First things first, what role do you want you section to play? Do you enjoy entreating friends and family or are you looking to create a more relaxing space where you can go and chill out in after a hard days work? Always consider your goals and think about creating a landscape that suits the houses colours and style. But the most important factor is usually your budget. A budget is necessary to making your dream landscape a reality without needlessly blowing through money. Another critical element for a new homeowner planning their landscaping in Christchurch is having concept and master plans drawn up. Having a big picture allows you to look at the way the seasons will impact your landscape, what you would like to see and when, it also helps you stay on track. At Evergreen our landscaping is constructed in stages. The siteworks is where everything starts with excavation and prepping of the site. Hardscaping is next, this is where feature like decks, outdoor kitchens, paving, paths pergolas go in. Next is the softscaping, this where you plant around your hardscapes and match the house and other features with trees and shrubs. The experts at Evergreen landscapes can help with selecting the right plants and trees for your space. You can even source all the tress and shrubs you may need at our own nursery. 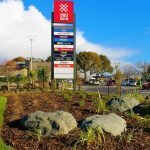 As we know ‘Rome wasn’t built in a day’ and this applies to landscaping in Christchurch. Its important to start with a vision, goals and a budget. Then look for a master landscaper such as Evergreen who can take you through the their full landscaping process (Design, Build and Maintain). Evergreens design team will recommend elements that will best suit your space and draw up concept, master and planting plans. You will also be able to rest easy knowing Evergreens expect construction team will complete the landscaping to the highest of standards. Our maintenance teams will also keep your investment healthy and beautiful for years to come. 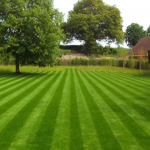 So if your looking to do any landscaping look no further than Evergreen Landscapes.